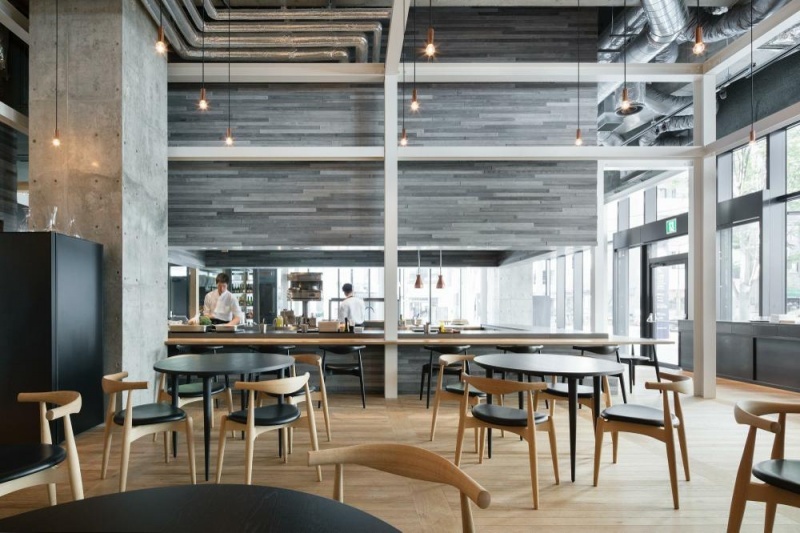 This establishment is located on the ground floor of Toranomon Hills Garden House, combining cafe, bistro, and so-called epicerie. At the entrance, you find the epicerie where they serve flesh vegetable, fish, eat and wine, then you get open cafe over there, and in the back you see dining room with an tables and bench seats with a bistro with private rooms. In other words, there are a cafe and a counter of bistro around an open kitchen. 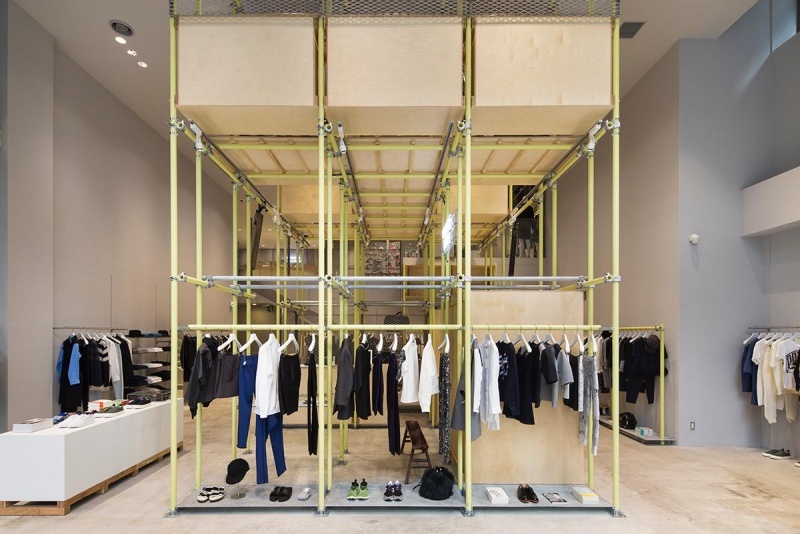 The interior was articulated by steel frames and stepped floors and furnished by wood, iron, copper and fiber reinforced plastic tiles to give a feeling of fineness. 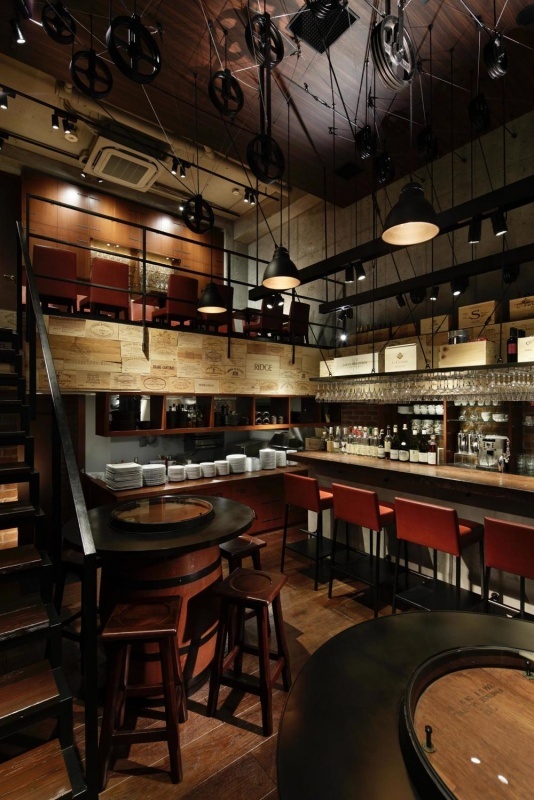 This establishment is located on both the ground and second floor of a very unique Wine Apartment for wine lover residents to held wine parties. There is a double height void in the interior of this restaurant and there art objects of pulleys suspended from the ceiling has a reminiscence of wine warehouse together with wood wine boxes decorate on the walls. A shelf full of wine bottle also covers a wall. On the second floor, the pulleys on hanging from the ceiling impress us very much. 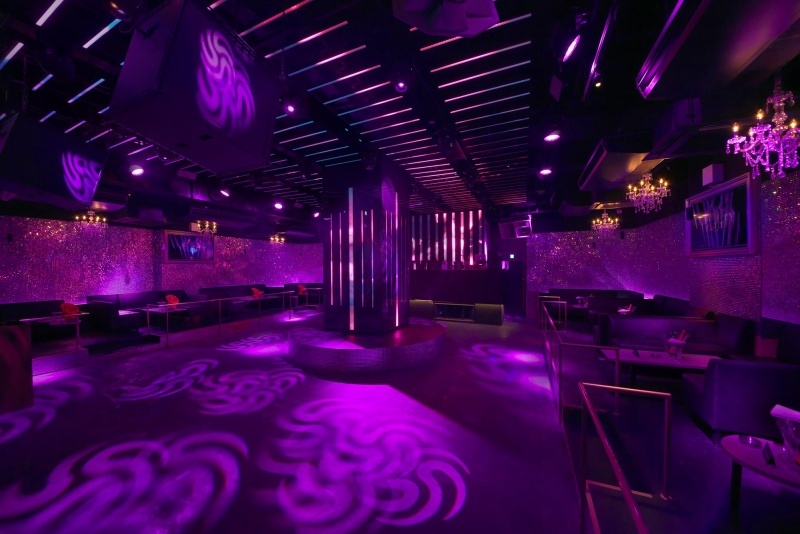 Soemon-cho is among the most popular downtowns in Osaka and this club is located in the neighborhood. The design of this project focused on unusual experience in the interior. Visitors are to pass a blue and pink foyer and locker area to get a twenty meters long main floor with double high ceiling covered with a lot of LED lamps. Between the entrance and the main area there is a long counter. Worldwide famous lighting designer Michael Meacham joined this project and he inputed here cool and exciting lighting programs. 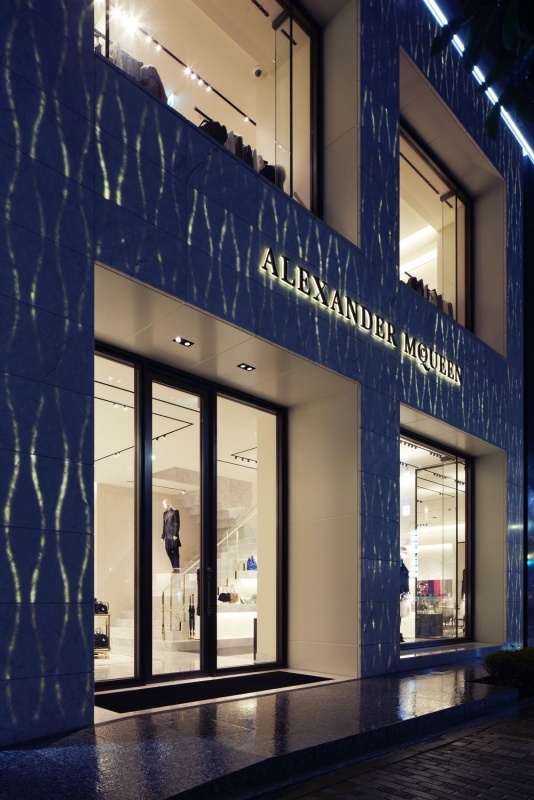 Front facades directly tell us the meaning and the content of the building, so the design of the facades is for not just showing up the building but making a kind of landmark in the area. 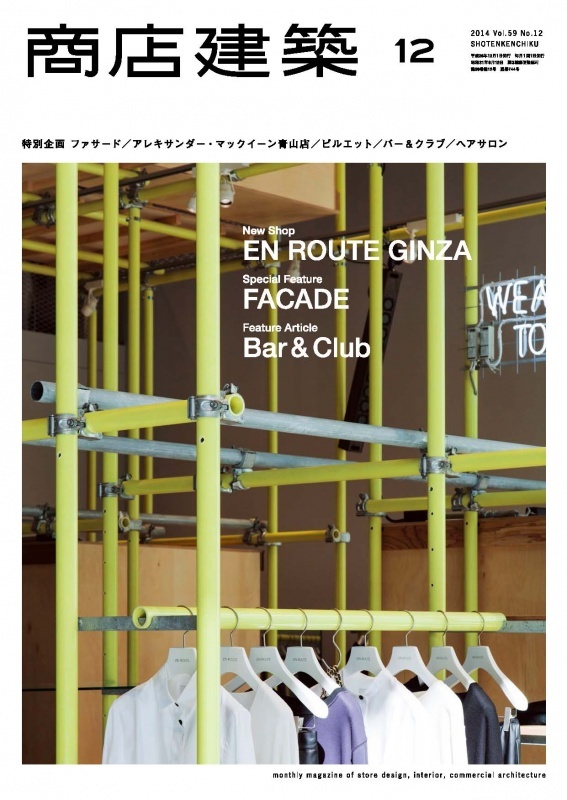 This featured article covers fifteen good facade design of SUGAMOSHINKIN BANK Nakaaoki Branch (page124), commercial complex Nishiazabu LʼECRIN (page135）and a wine & oyster standing restaurant SUSHIMARU(page146）. 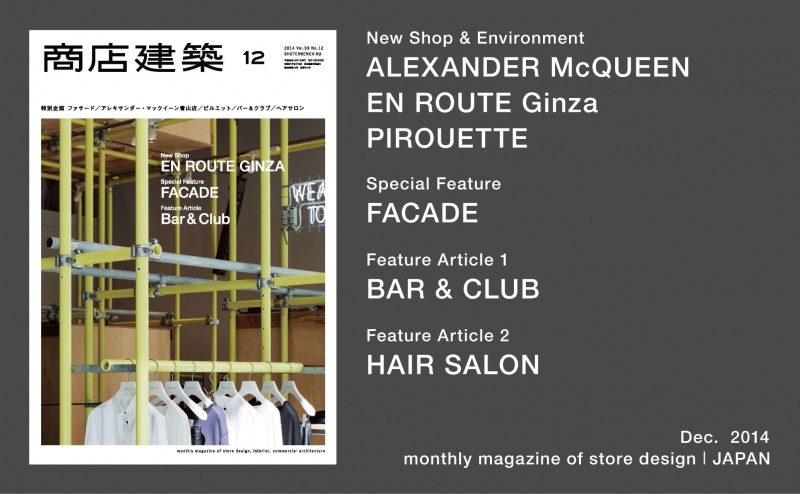 The article also includes interviews with designers on new trend of facade design and their approaches to the projects. 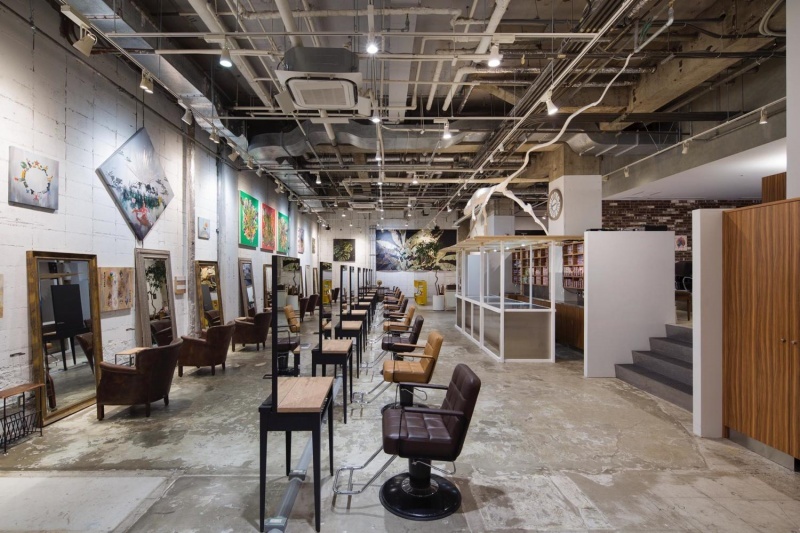 This big hair salon is located in the basement of a forty years old and famous building From First in Tokyo. The floor area is unusually big in the neighborhood where there are a lot of competitive salons. Taka Saito, the interior designer of this project left the original space open and stark as much as possible to make here ”a stage for something”, never adding much decoration with a collaboration with some artists. After opening, the salon invited ten artists for them to exhibit their works in there, which helped to activate the environment. 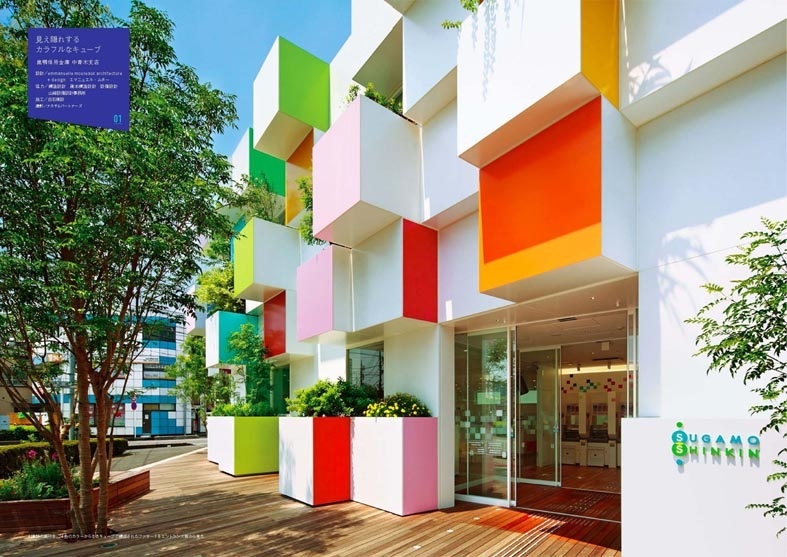 This hair dressing salon was designed upon a theme of “space like a villa in a resort”. Without saying the salon offers various service including hair coloring, perming, cutting, and nailing, it also caters smoothies to relax customers. 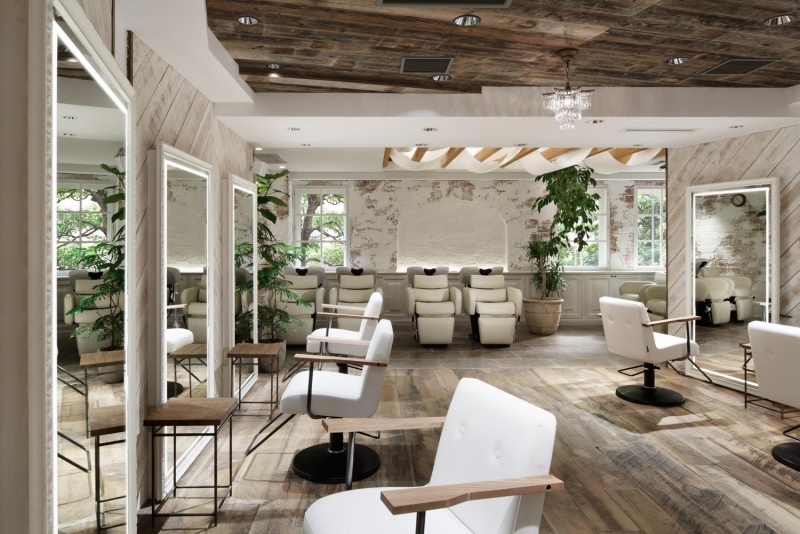 The salon lets natural light in and is decorated with salvaged lumbers, plants and other comfortable things to envelop you soothingly. Old recycled beams and vintage terracotta tiles on the floor are welcoming. The second floor uses rustic panels in herringbone pattern and antique bricks and they has a reminiscence of old times.